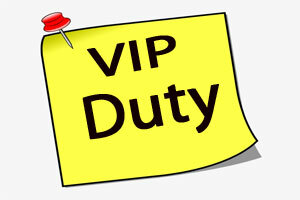 The association recently condemned the practice of engaging government doctors on VIP/VVIP duty without following proper guidelines and issued a statement in this regard. Explaining the issue, KGMOA pointed out that whenever a VIP/VVIP were made to visit the healthcentre, the doctors were deployed to accompany them which are nothing but a wastage of time and available manpower. This practice happened without following any proper guidelines, they alleged. The President, KGMOA, Dr Joseph Chacko and General Secretary Dr Vijayakrishnan G S issued a statement which read, “Though a special doctor or a medical team accompanies the VIPs and VVIPs, government doctors are made to join them during their visits as if it’s a custom or ritual. This practice is being followed at a time when there’s a significant shortage of doctors at government hospitals and health centres,” quotes the TOI. According to the existing guidelines which require the issuance of a notice five days prior to such duties outside the hospital, the statement pointed out that the doctors were being intimated just a few hours in advance. “This creates a lot of difficulties to patients who reach the hospitals. Usually, senior doctors aged above 50 years are being assigned with the task of accompanying VVIPs and they are confronting gross human rights violations in terms of facilities being provided,” the statement further added. The Medical Dialogues team had earlier reported a controversy had erupted in Chhattisgarh over the alleged deployment of a government medical team at the venue of the marriage of the son of Chhattisgarh Home Minister. The image of the order copy, purportedly issued by the office of the Chief Medical and Health Officer (CMHO), Raipur to impose the duty of doctors, had gone viral on social media. The order had received flak from all sides, with people hopelessly quoting that the VVIP culture to be a major issue in India. Please throw the Politicians out of the country, if they dont give 1 week prior notice of their visits to any part of the country, apart from dire emergency. ONE STUPID GUY CALLED CALLED POLITICIAN, THROUGH ANOTHER SILLY GUY CALLED BABU THE BUREAUCRAT POST THE DOCTORS IN THE NAME DUTY TO, WHEN ANY OF THOSE STUPID PEOPLE VISIT FOR VISIT TO I C U OF AN HIGH TECH HOSPITAL. THE DOCTORS WHO HAVE POSTED HAVE DON\’T EVEN HAVE ACCESS TO GO TO TOILET. THEY LOOK TERRIBLY SICK, WITH CONSTIPATED FACES. THE WOMEN ON DUTIES, I THINK IT\’S BETTER NOT TO CEMENT. OVERALL IT LOOKS CHEAP, SILLY AND STUPID. VIP culture is nothing but senselessly resources expenditure,in a country where still thousands of people die daily due to hunger….. I am glad. Doctors should not be caught for begaar work. This is real abuse of medical services by beaurocracy, putting doctors as a traffic person in fun Fair& festivals ,VIP duties at the cost of ailing humanity waiting for docdtors in the Hospital,When in India at every two KM you will find aNursing Homes or clinics. No arrangments are made for doctors on such duties as regards stay refresments food etc. Doctors are treted as guinepigs forced to taste water ,food etc to be served to VVIP. These rules where framed in British era, still continued,bytheir co brothers so called Beurocrates. Putting doctors on VVIP and other duties, means to shift the responsibilities in odd situation on Medical Team and make a escape from the scene. Brunt of failure in discharging administrative duties by these local authorties /district officers , is always directed towards medical personals,as doctors are soft targets ,harmless creatures.